Le vignoble n'est pas aussi ancien que celui de l'Hermitage, et il s'est développé depuis le début du 20ème siècle, au détriment des cultures fruitières. Le vin est d'une couleur rubis intense. Il révèle à la dégustation un intense bouquet de fruits rouges. En bouche, le vin se montre très gourmand, équilibré et concentré. Ce vin offre un plaisir immédiat. Dés l'ouverture, le fruit est très présent. Vous pouvez servir ce vin à une température de 16/17°C sur des grillades. This red offers a broad, fleshy feel, delivering flavors of dark plum, cherry and blackberry embedded with notes of fruitcake, black licorice and sweet spices. The toasty frame is well-integrated, and the sanguine-tinged finish offsets the fruit. I like what Nicolas Jaboulet has done in a very short space of time. 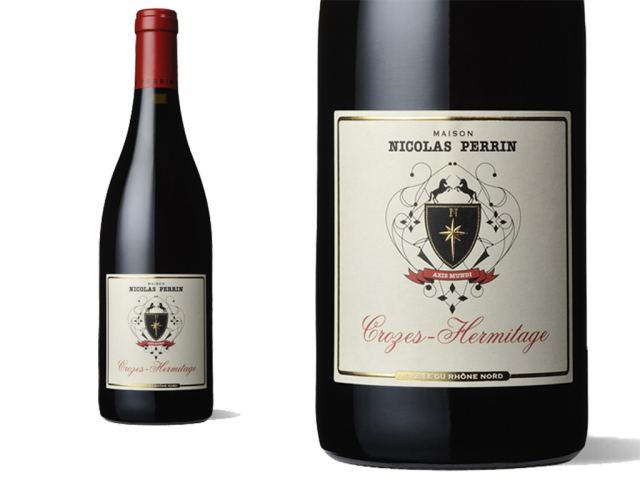 Since 2009, his brand new micro-négociant wine company has gone from making fairly workmanlike Northern Rhône standards to finely-tuned, highly desirable, plush whites and reds from the hallowed turf overlooking the mighty Rhône river. Masion Perrin is a joint venture between Nicolas and the Perrin Family of Château de Beaucastel fame (the Châteauneuf-du-Pape overlords in the Southern Rhône). My pick of Nicolas’ current releases is this lusty, sensual, ravishing white made from 100% Marsanne. All too often white Crozes is either underpowered and skittish or corpulent and lumbering. It’s rare to find a wine which sits in the middle of these two unattractive extremes. Needless to say, this 2012 release is a gem. The fruit is heady, exotic and hypnotic with more than enough beguiling peach essence and wild honey to make your knees tremble with anticipation. The oak is perfect, allowing the fruit to billow on the palate like a majestic spinnaker and then without a warning the acidity whip-cracks and wakes your dreamy senses up with a jolt.This is pure, unbridled excitement in a glass. From the venture forged by Nicolas Jaboulet and the Perrin Family of Château de Beaucastel in 2009, this is sophisticated Crozes, subtle and polished. Entirely marsanne, its standout feature is its texture, as smooth as corn silk; the avors are more savory than fruit-driven, broad and lightly spicy. It will come in handy with dishes that are delicate and complexly spiced, like a seafood couscous. Traditionally blended with other white wine grapes in the Northern Rhône region from whence it comes, Marsanne is the solo performer in Perrin’s lovely, luscious wine. With its rich gold hue, relatively low acidity, decidely nutty aromas and avors, plus a satiny, almost waxy, mouth feel, it provides a welcome exception to the usual humdrum white wine experience. 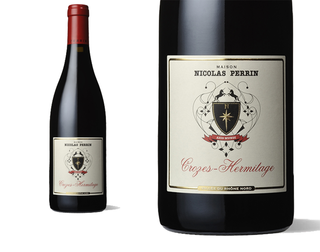 Showing more smoke, menthol, tobacco and pepper, as well as a gamey core of dark fruit, the 2012 Crozes-Hermitage is balanced, medium-bodied and elegant, with vibrant acidity and fine tannin all emerging on the finish. Possibly outstanding, it should drink nicely on release and evolve gracefully for 7-8 years. A collaboration between the Perrin Family, of Beaucastel, and Nicolas Jaboulet, of the Jaboulet family in the northern Rhône, this lineup is made mostly from purchased grapes (The Perrin’s own some of the vineyards in Crozes), with the wines made using Beaucastel barrels in the north, and blended at the Perrin Family winery in the south. They are all well-made, high quality efforts. L'adorable Crozes-Hermitage, au profil fruité, élégant et digeste. Croquant de gourmandise, parfums de violette et de fruits épicés, jolis tanins, élancé et frais, allonge désaltérante.